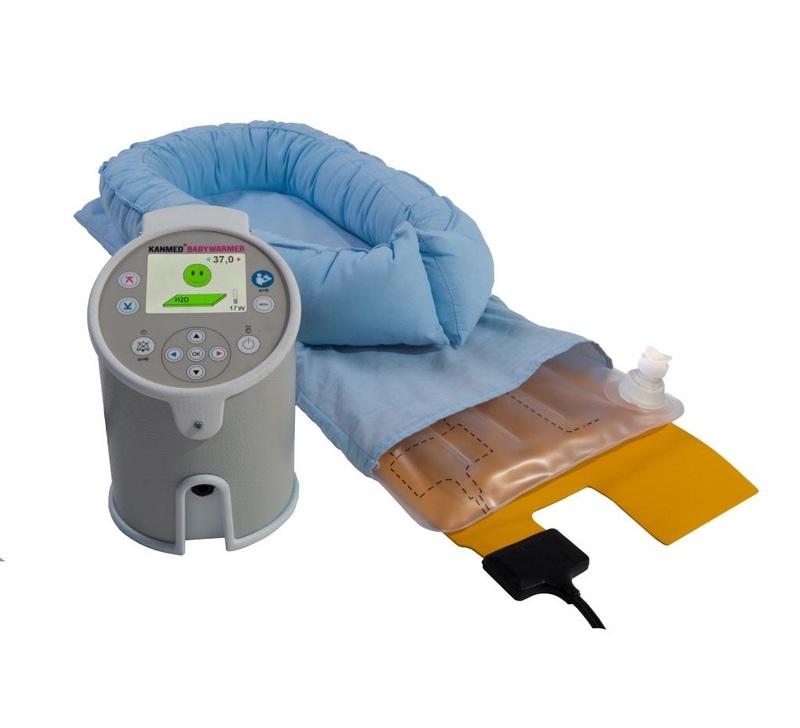 The Kanmed BabyWarmer effeciently warms newborn or premature Babies via conductive heating, using a designed very soft warm water mattress. The optimal warming ensures growth rates in gram/day that are equal to or better than the best incubators. The efficiency of Kanmed Babywarmer is documented in many case studies. A wonderfull product that reduces days in incubators. It complements very well the philosophy of Kangaroo Mother Care. • The baby feels like being on its mother's skin which makes it relax, sleep and develop well. • The adjustable Kanmed Baby Nest that surrounds the water mattress creates a feeling of safety and allows physical support.